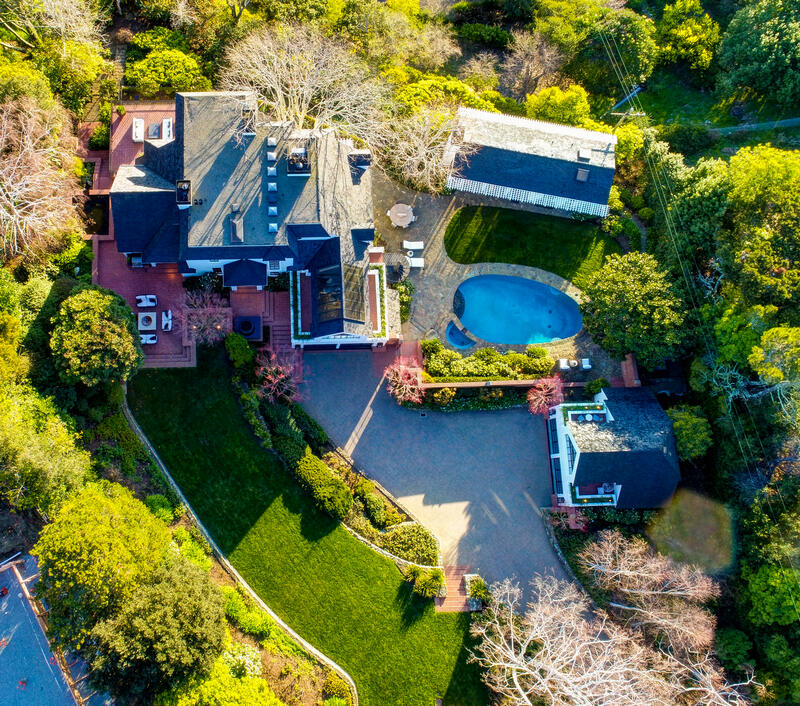 This elegant property includes a stunning main residence, a generous guest/pool house and a detached two-car carriage house with top-floor recreation room. 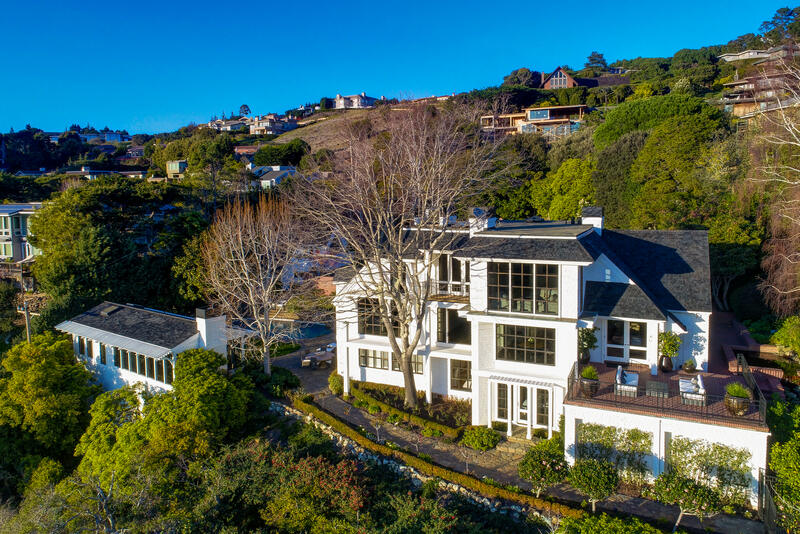 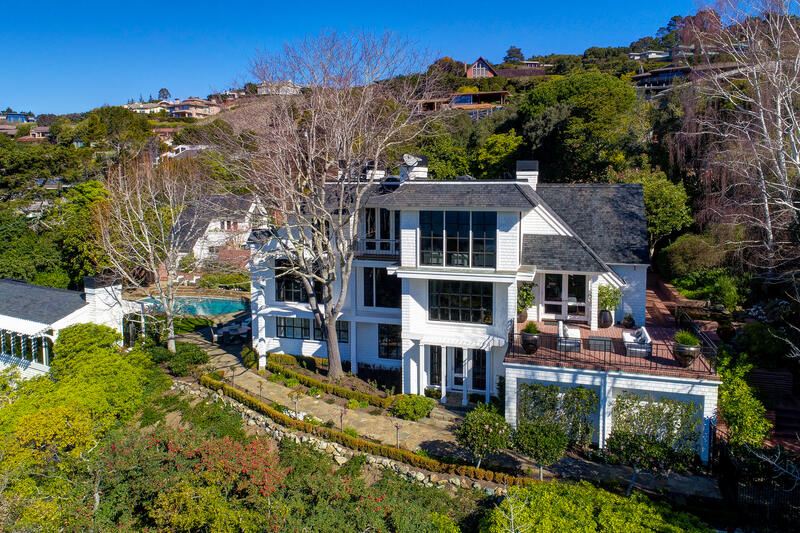 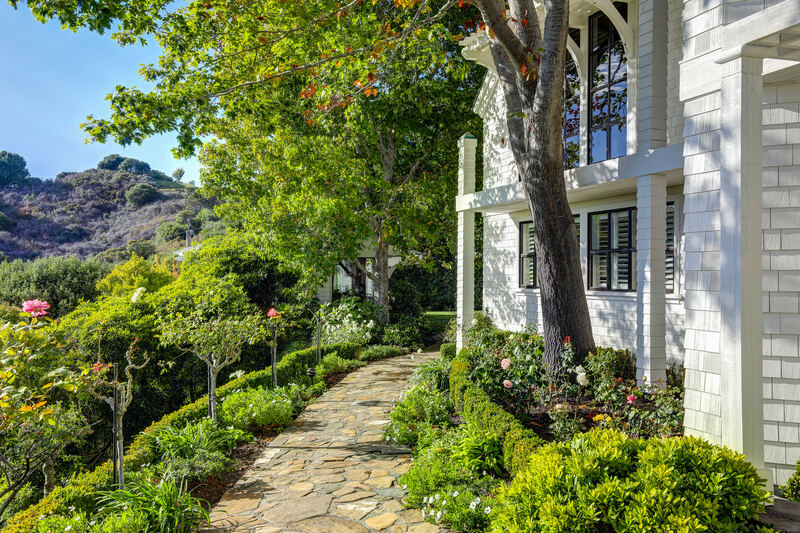 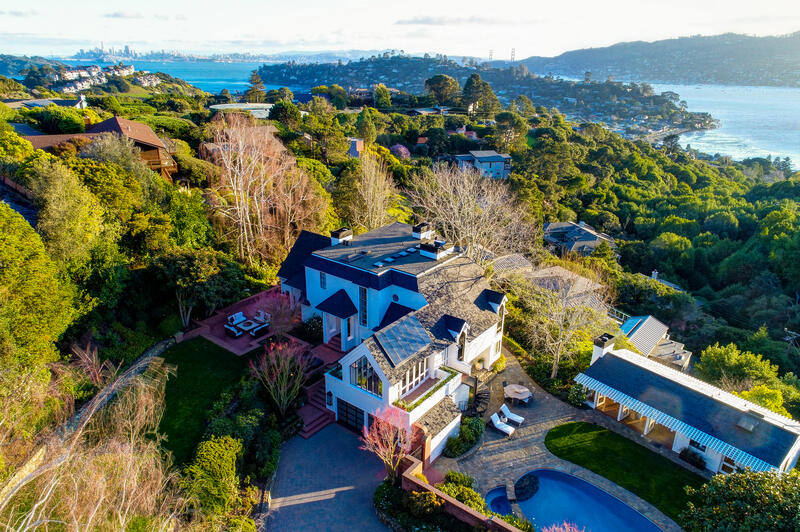 This five bedroom, six-bath luxury residence is perfectly sited on a gated and private, nearly acre parcel with incredible views, sweeping lawns and flat usable spaces. 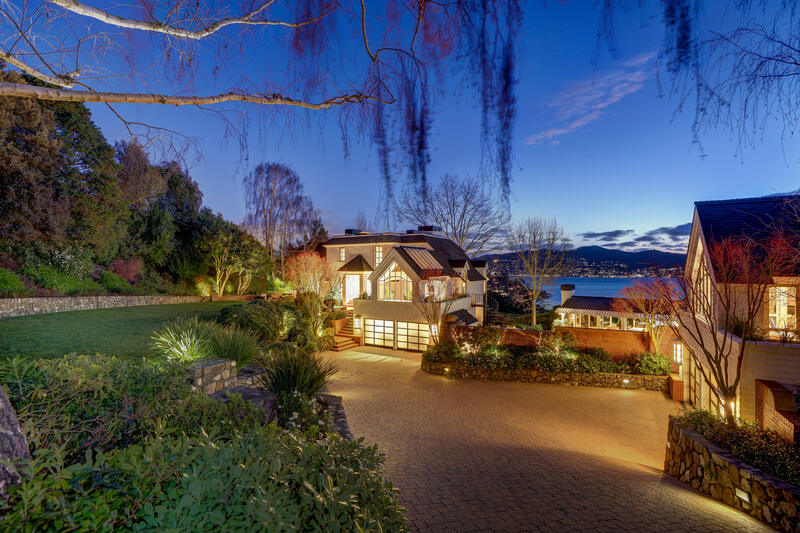 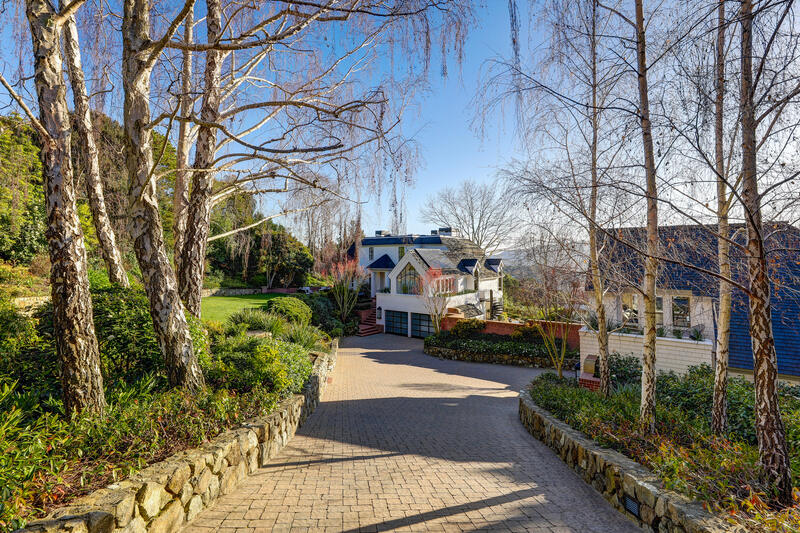 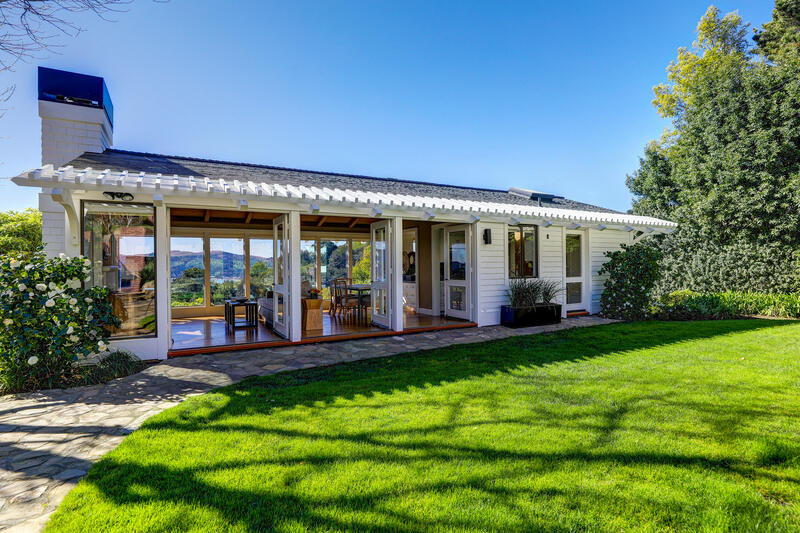 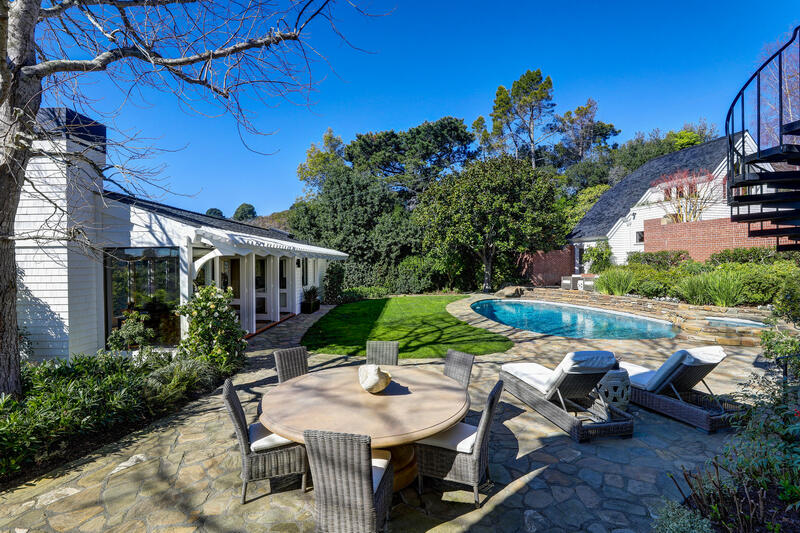 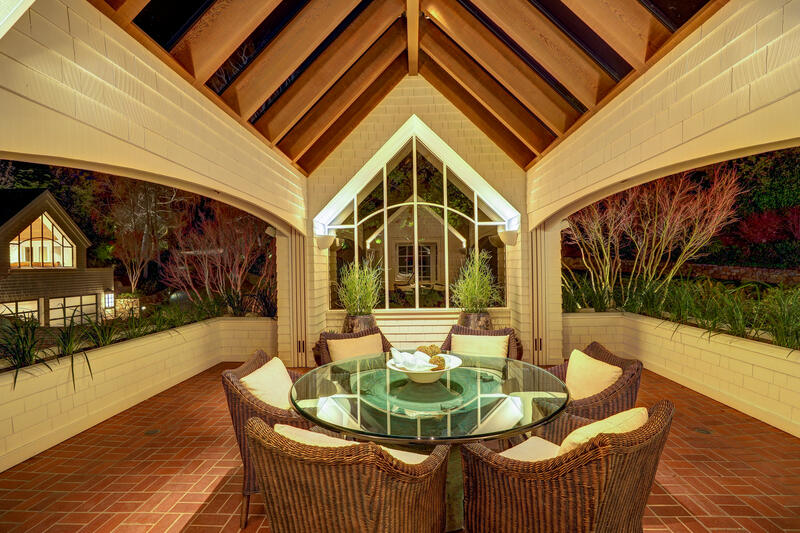 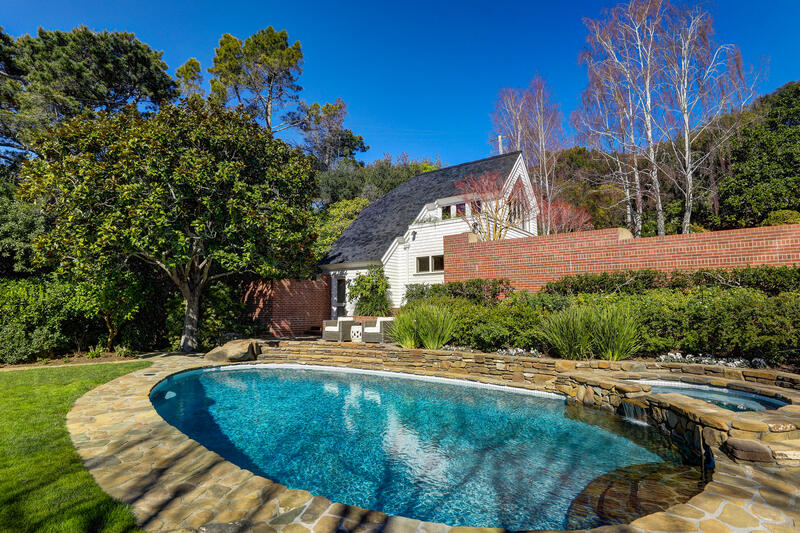 Expertly built by Werner Schneider in 1971, this property has been perfectly honed over the years into the ultimate family retreat by noted architect Paden Prichard and Hadley Builders. 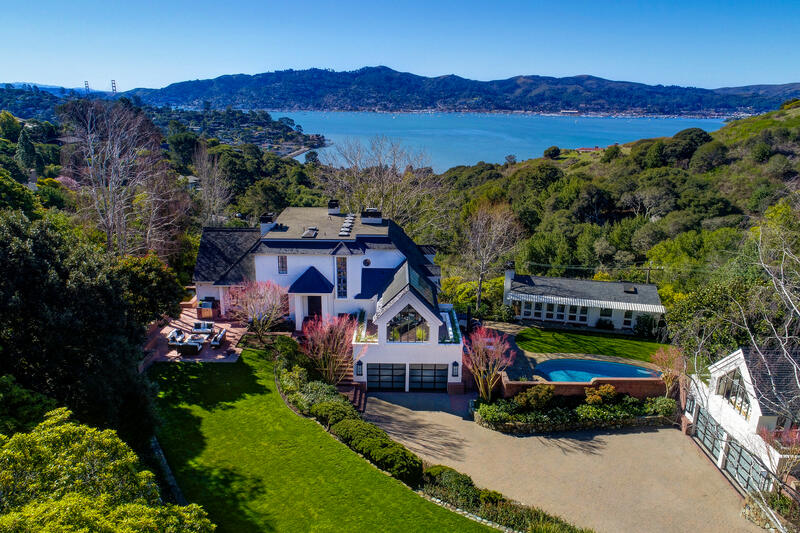 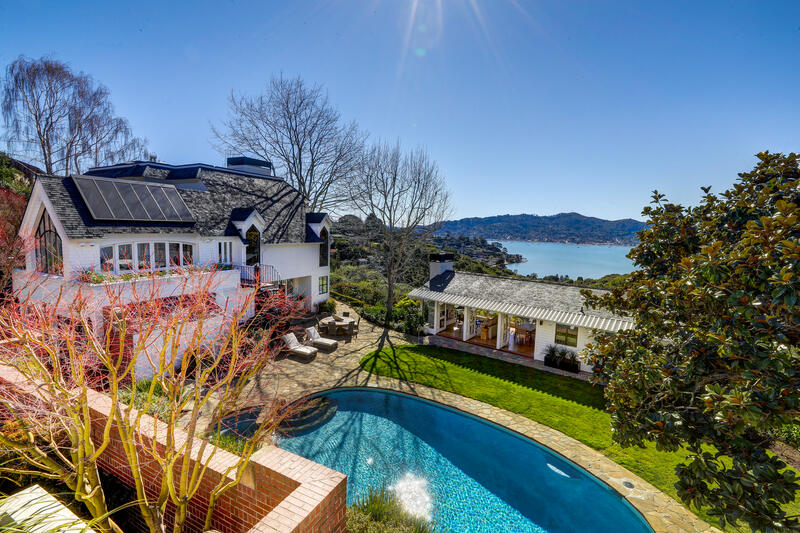 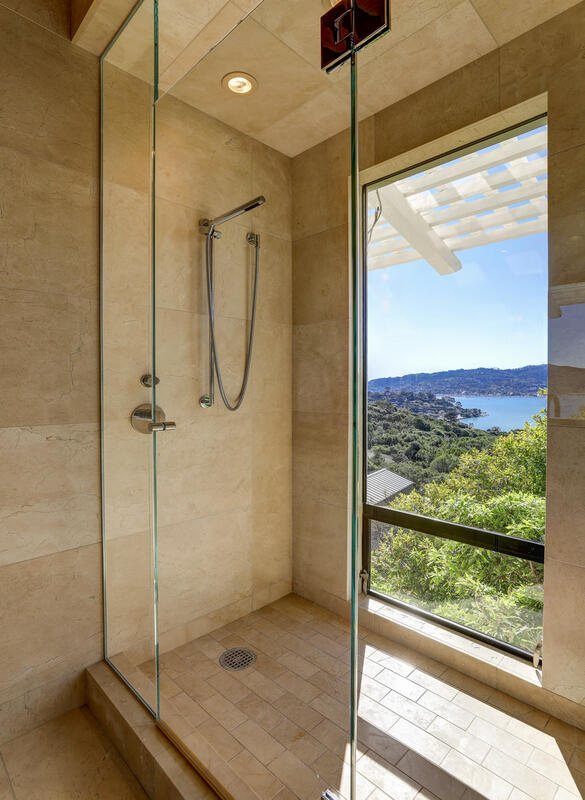 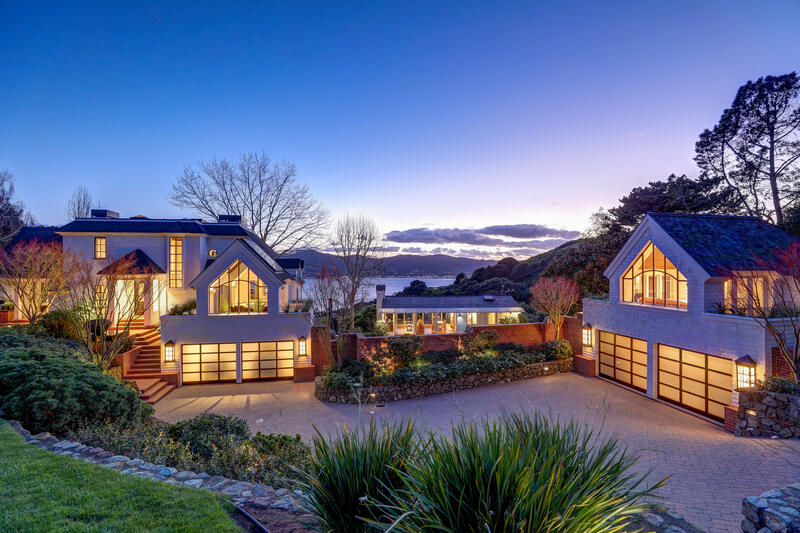 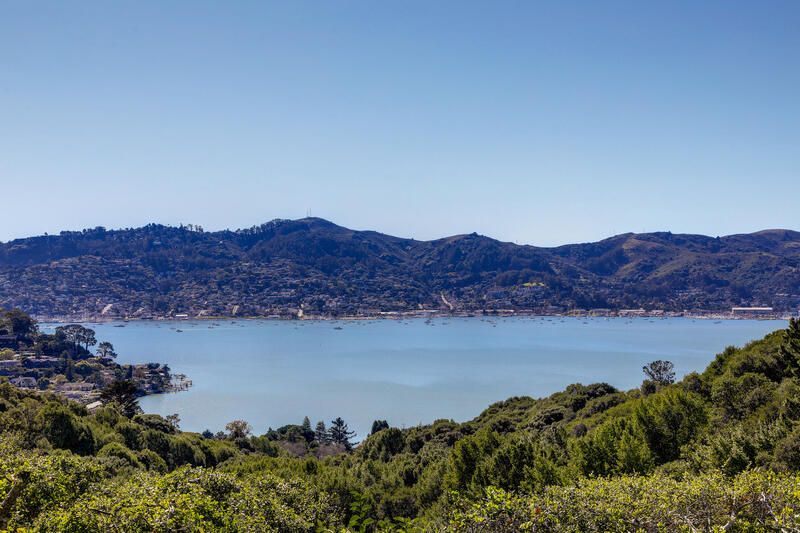 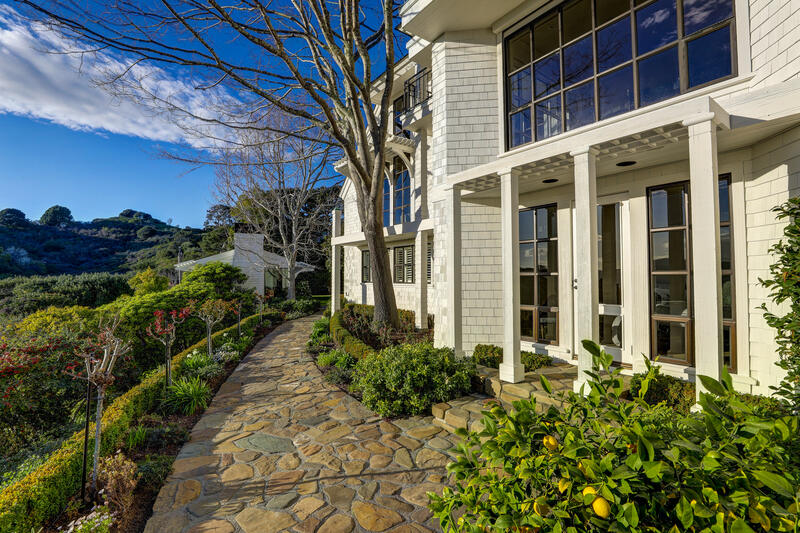 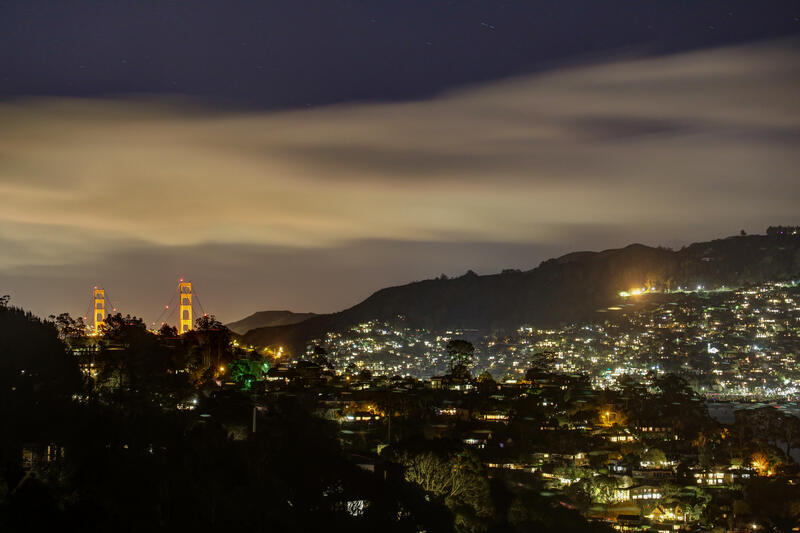 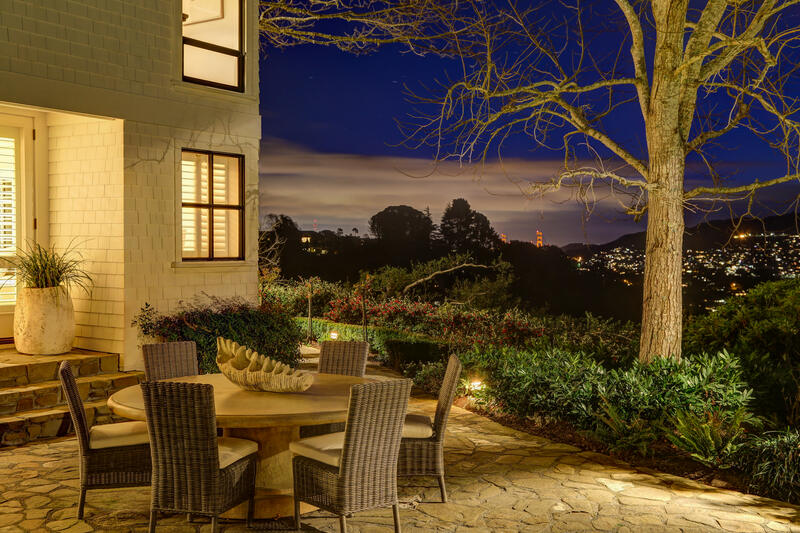 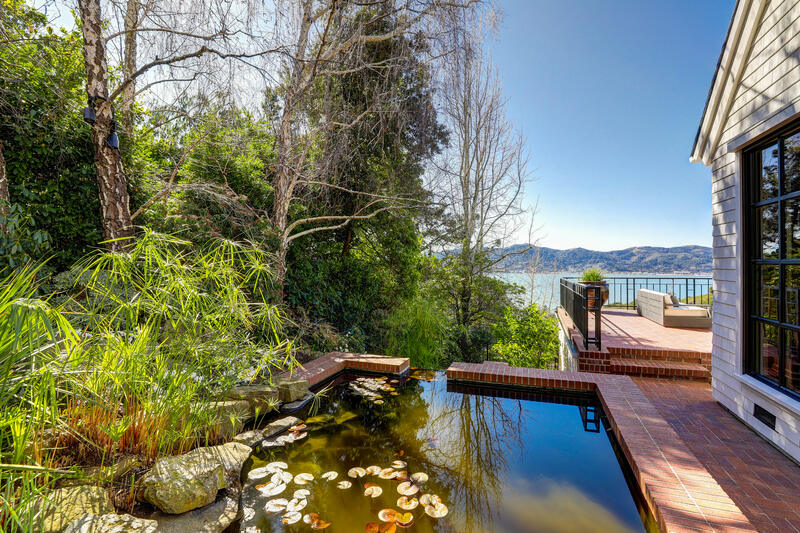 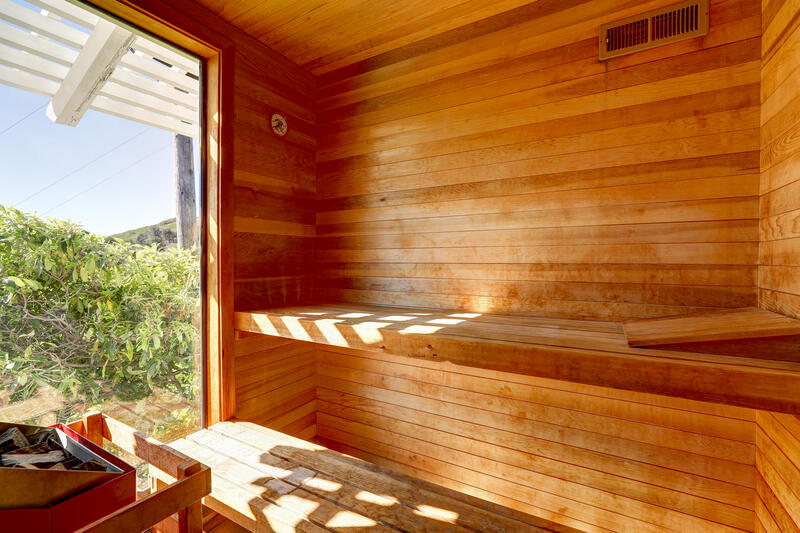 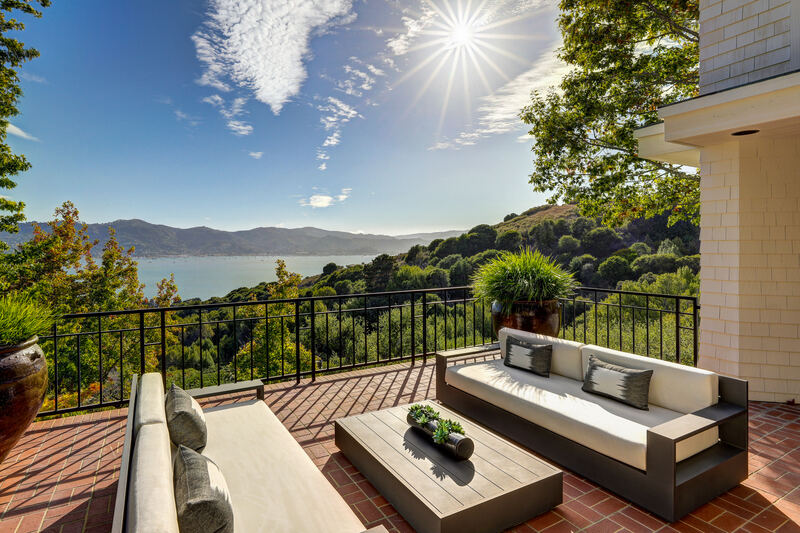 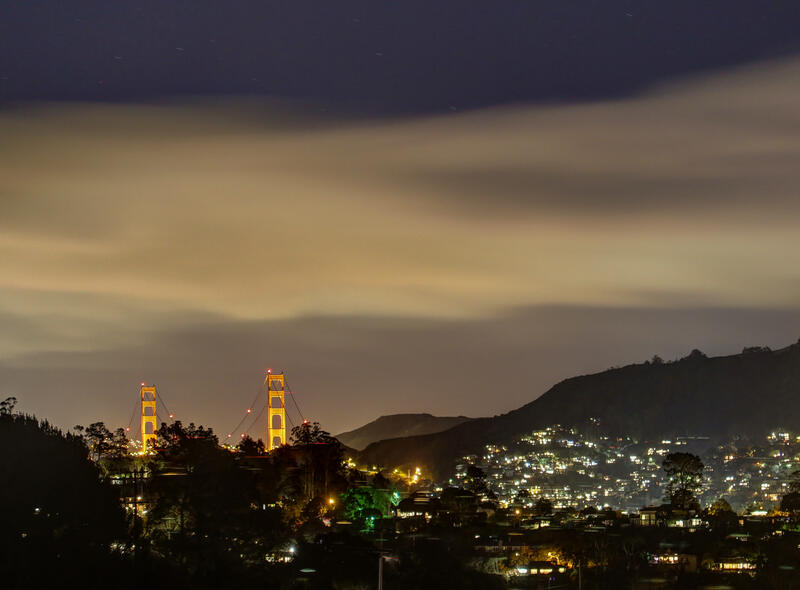 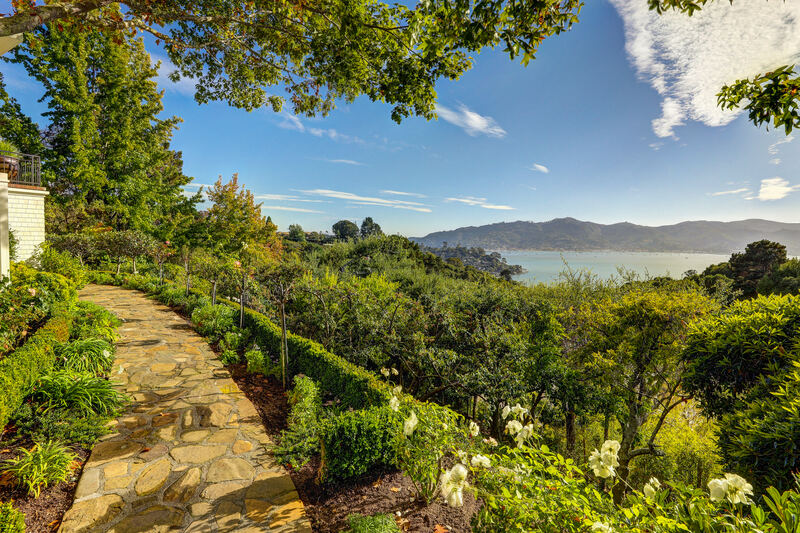 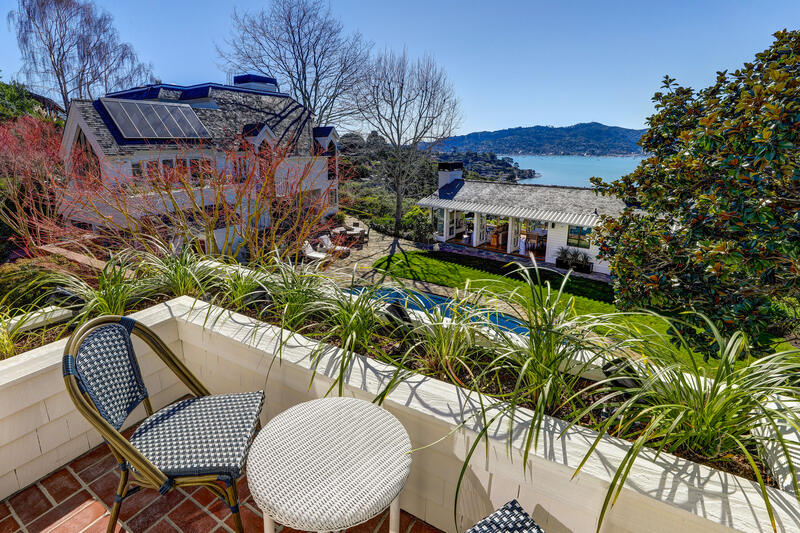 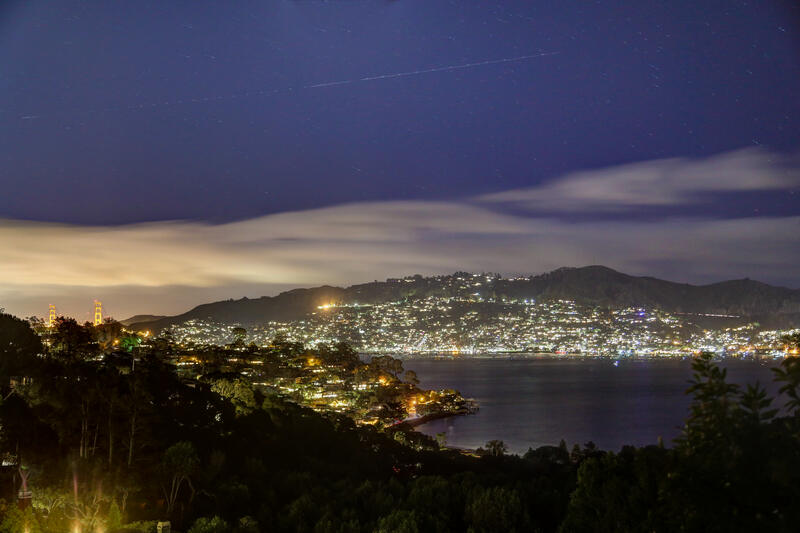 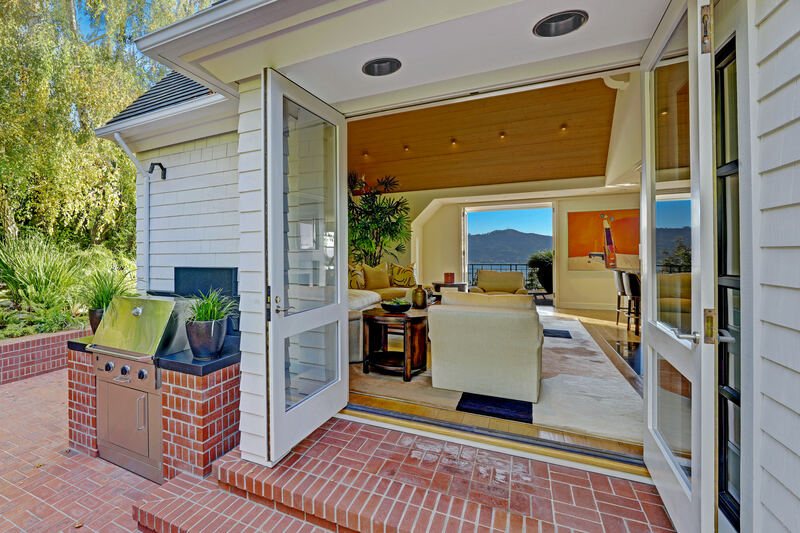 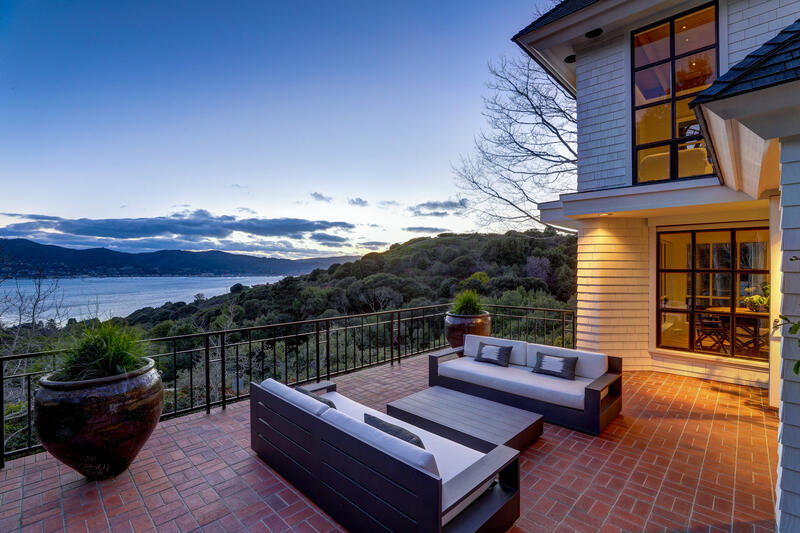 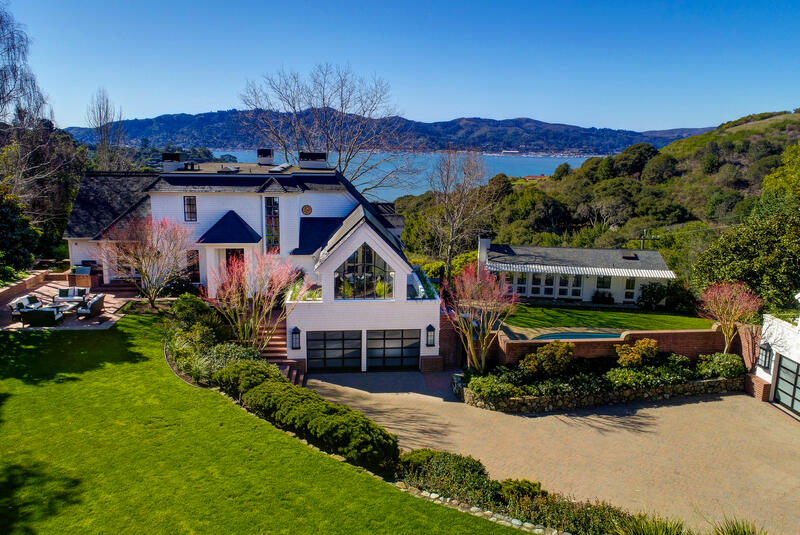 Enjoy inspirational views of Richardson Bay, Sausalito and the Golden Gate Bridge. 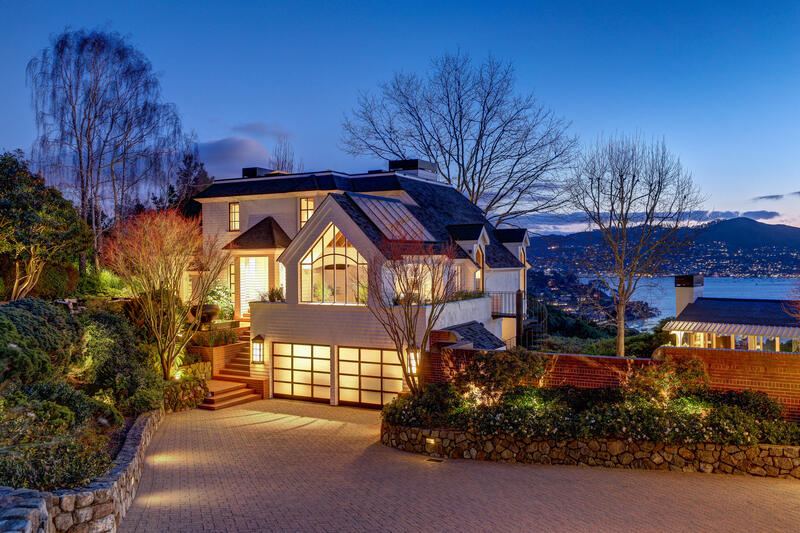 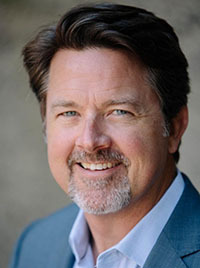 This is a one-of-a-kind residence that offers a rare opportunity for the most discerning buyers. 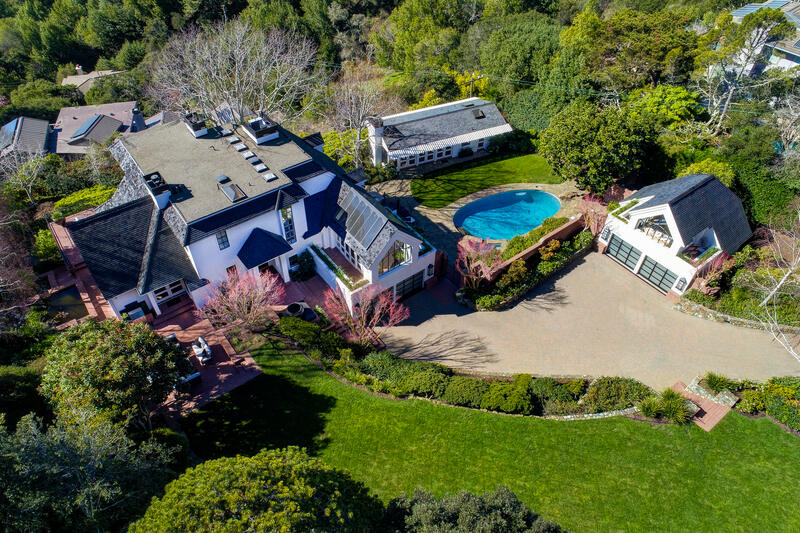 Move right in to this immaculate world-class estate! 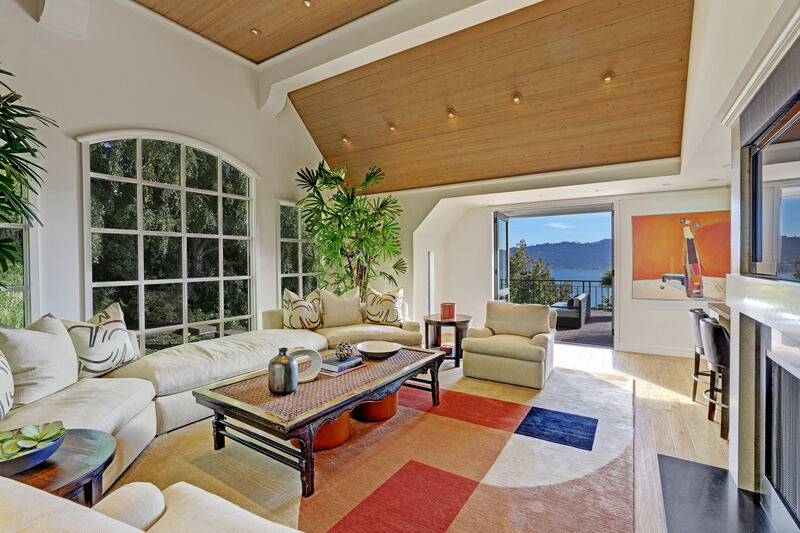 The sunny and bright main residence offers a wonderful, open floor plan perfect for entertaining family and friends. 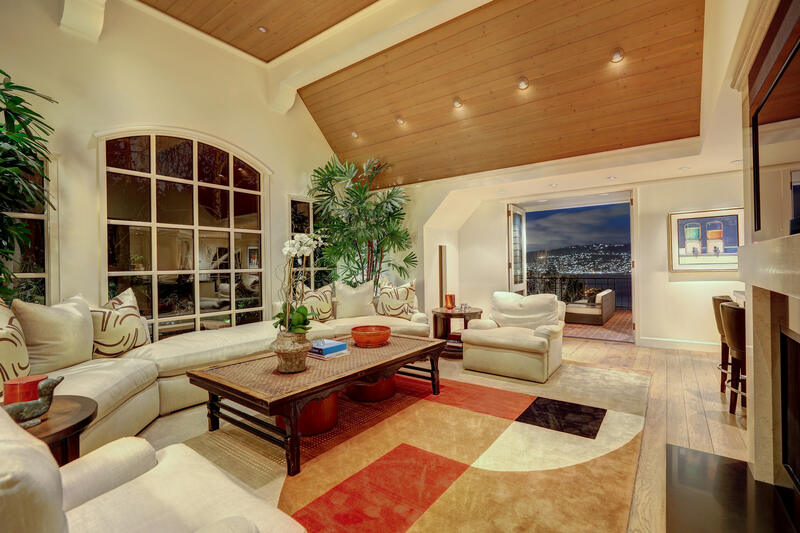 Enter on the main floor to an immaculate space with stunning finishes and meticulous detailing. 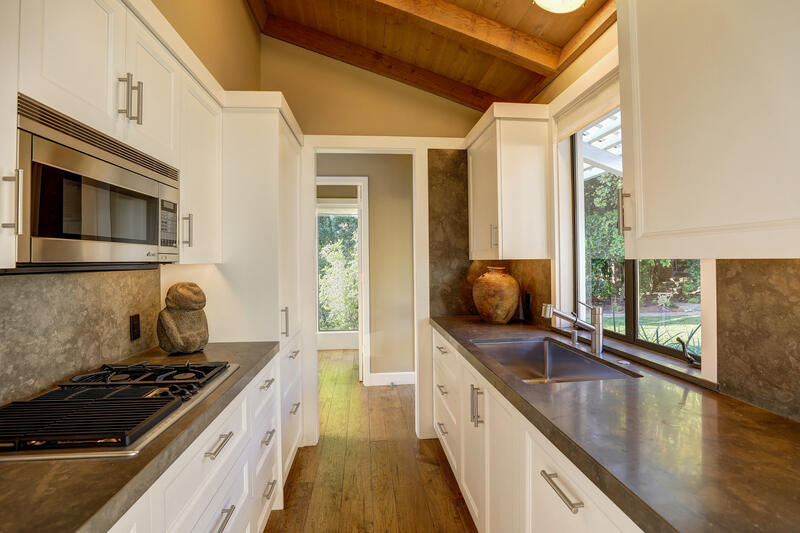 The kitchen is finished in clean white bespoke cabinetry, honed black granite counter tops and offers state of the art built-in appliances. 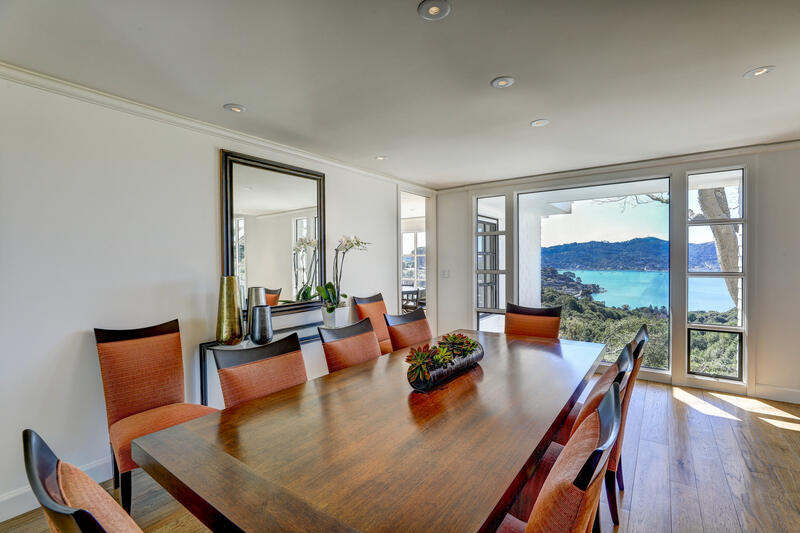 A casual dining area is set into a nook just off the kitchen and is surrounded on three sides by windows that frame the incredible Bay views beyond. 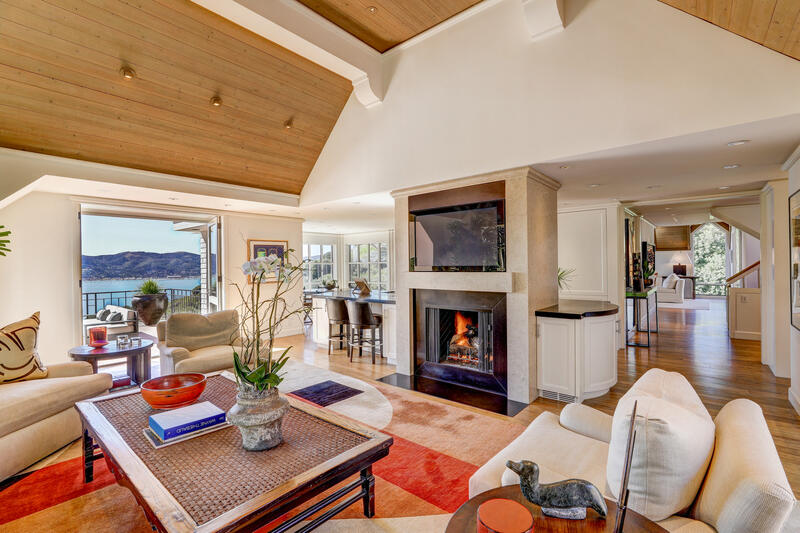 The family room flows from the kitchen, separated only by an open counter top seating area and a monolithic wall finished in limestone with stove-top and hood on one side and the family room fireplace and built-in flat screen TV on the reverse. 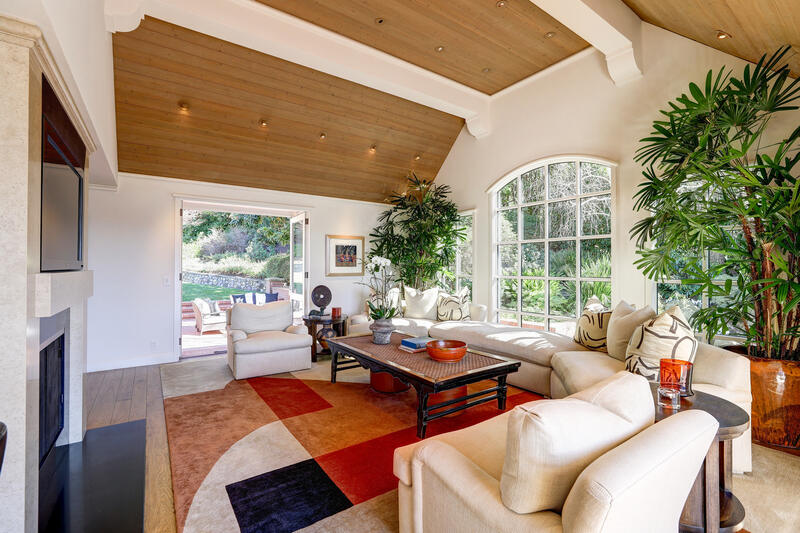 The spacious family room flows out to two great outdoor entertaining areas through two sets of floor to ceiling double doors. 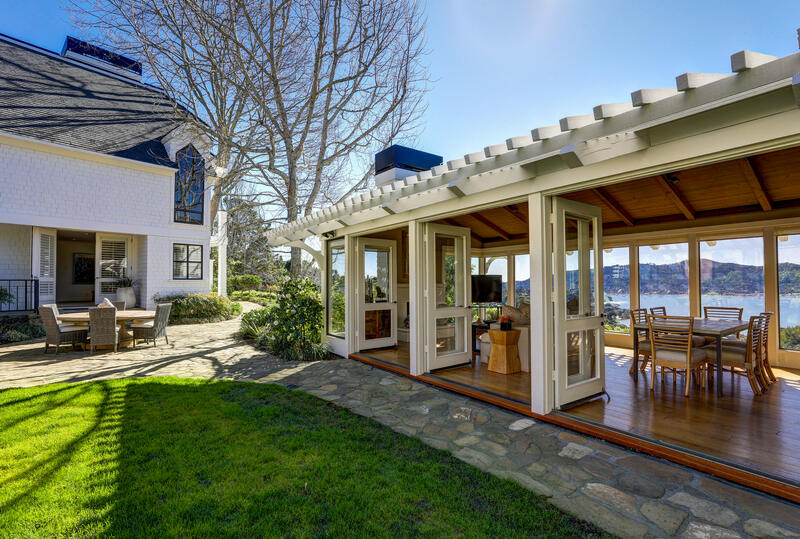 On one side a patio with built-in BBQ that is connected to the sweeping front lawn; on the other an inspiring Bay view patio with a large seating area that seems to float over the Bay. 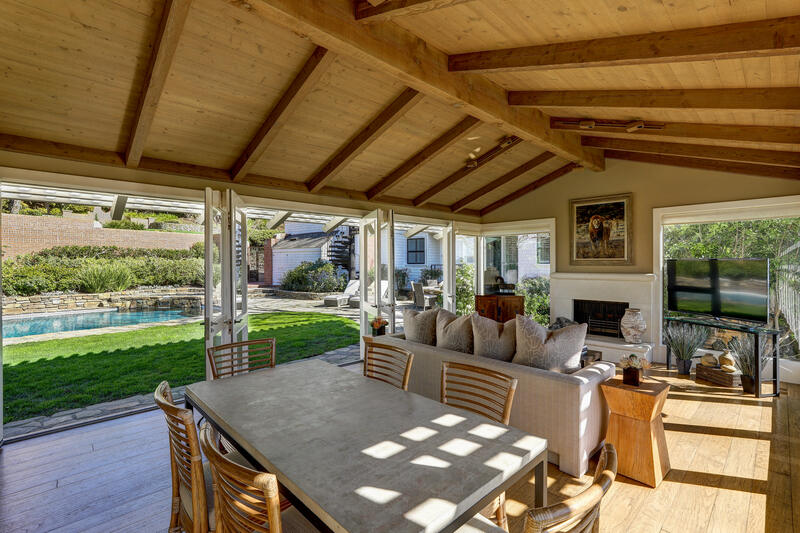 Both outdoor entertaining areas are connected by a walkway that passes a serene spring-fed water feature that is visible from the family room. 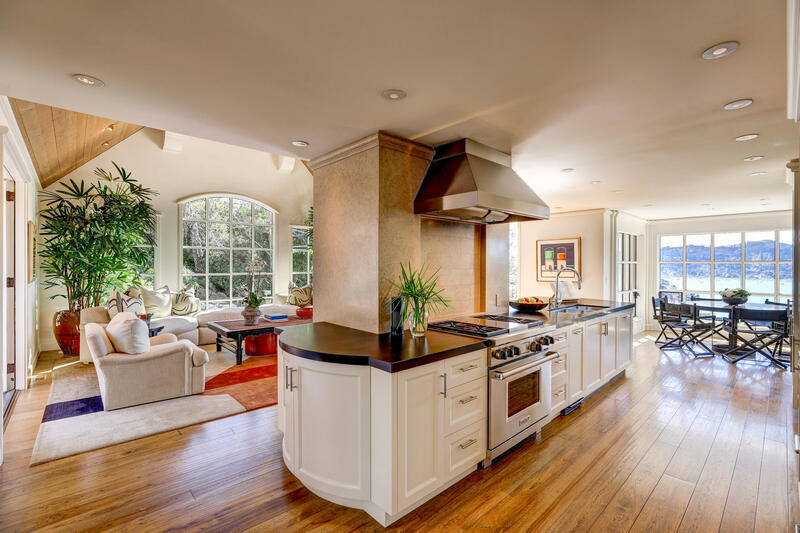 An intimate dining room connects the kitchen to a spacious and comfortable living room. 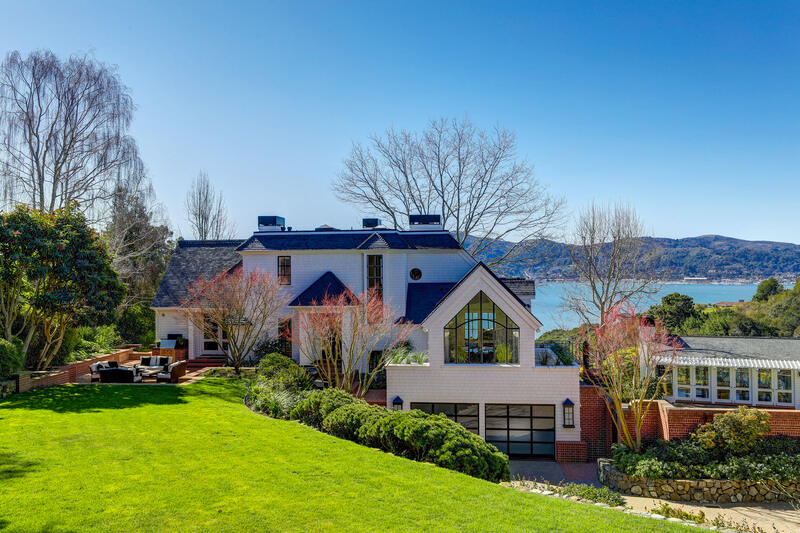 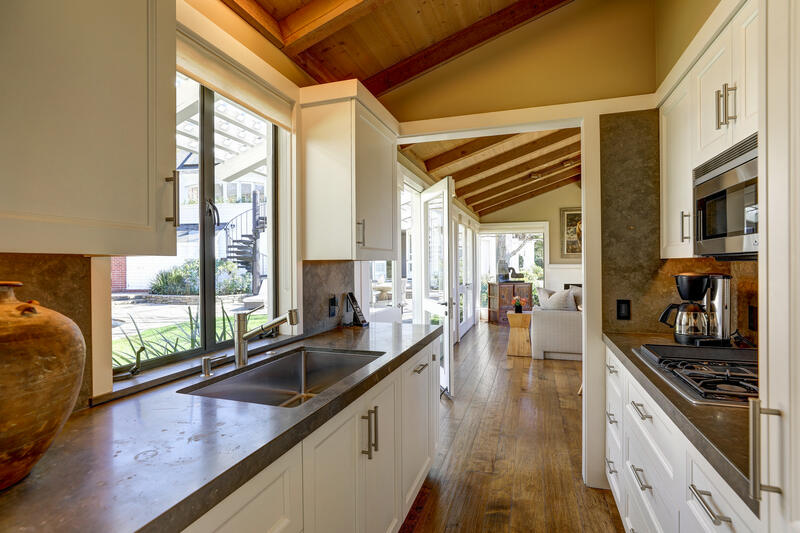 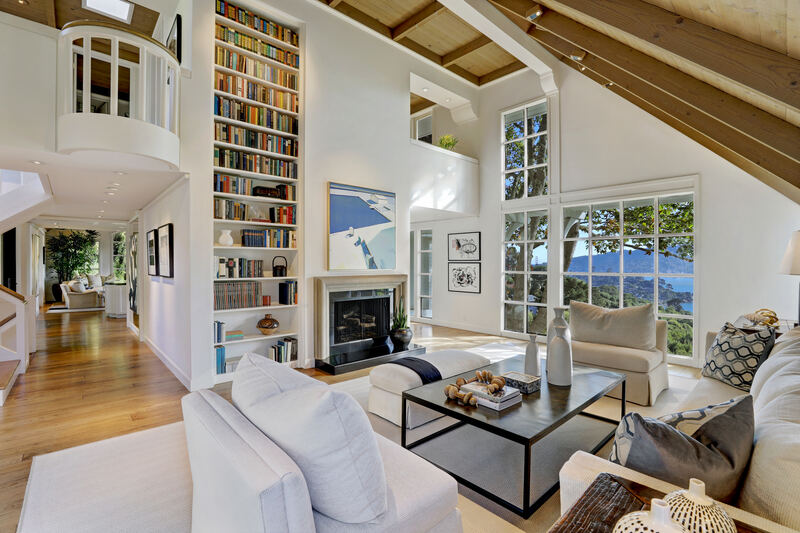 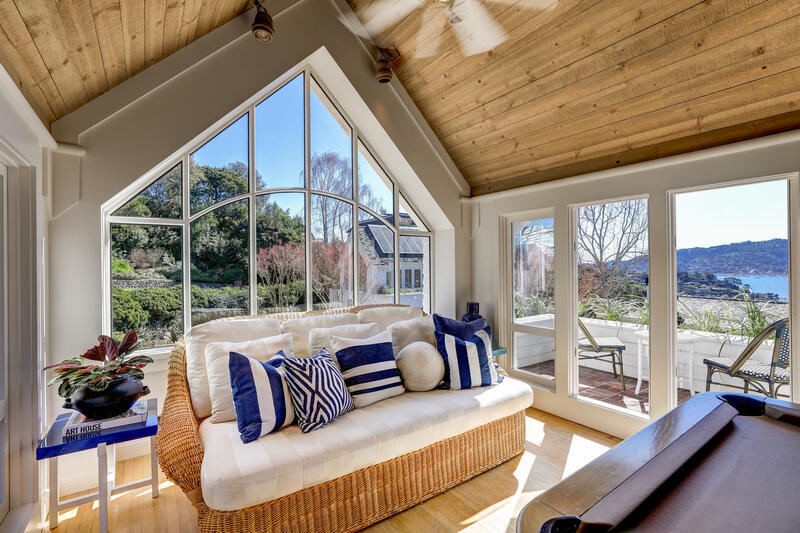 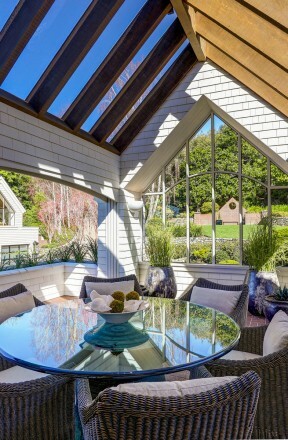 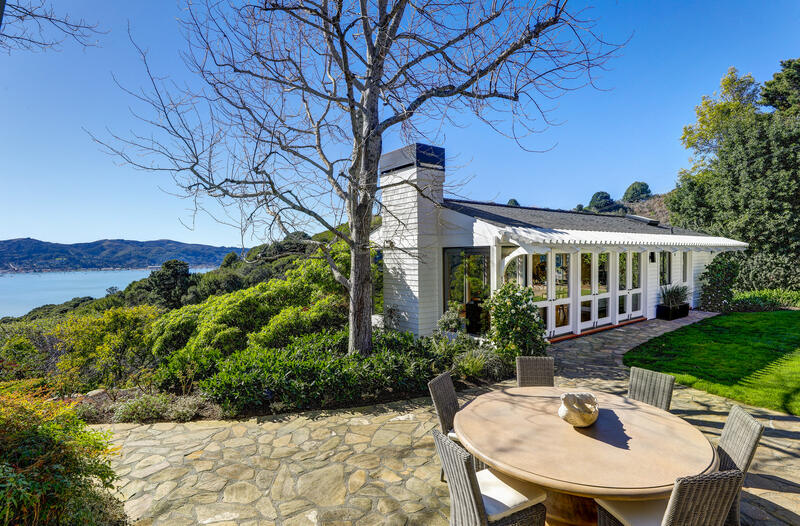 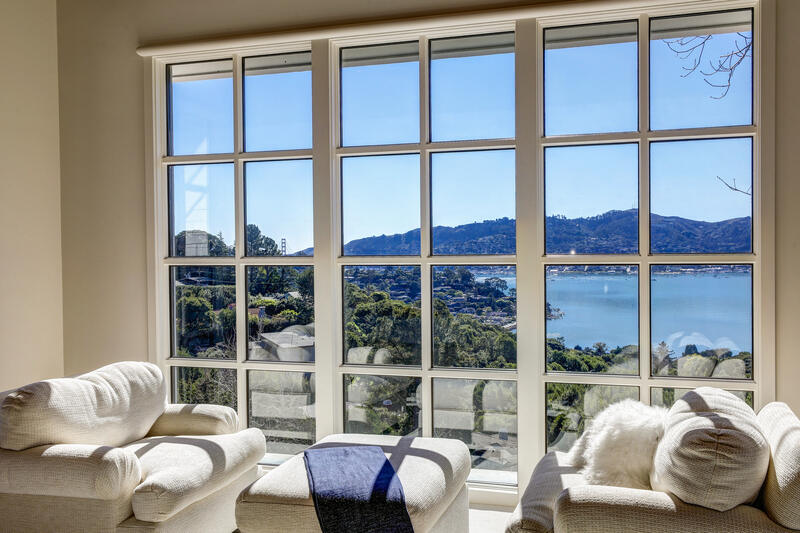 This inviting space has soaring ceilings and large windows that feature Richardson Bay and Sausalito views. 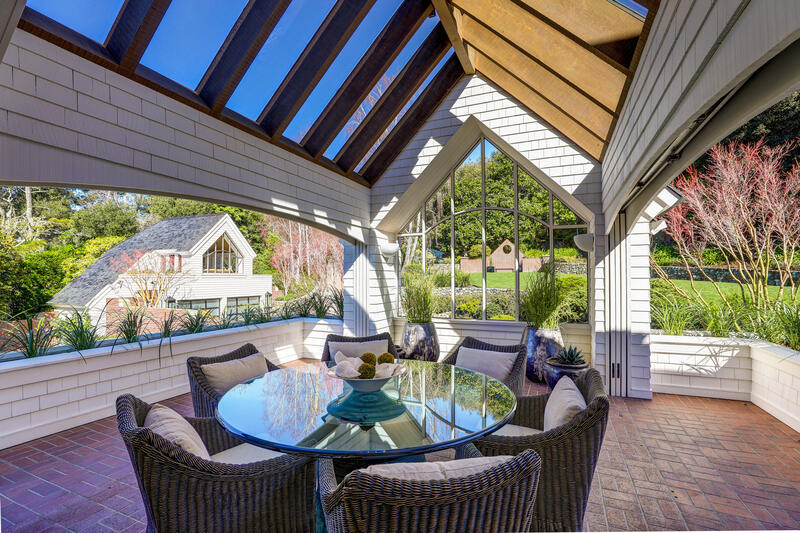 Also featured is an architecturally stunning indoor-outdoor dining area with pocket doors that stow away, bringing the outdoors in. 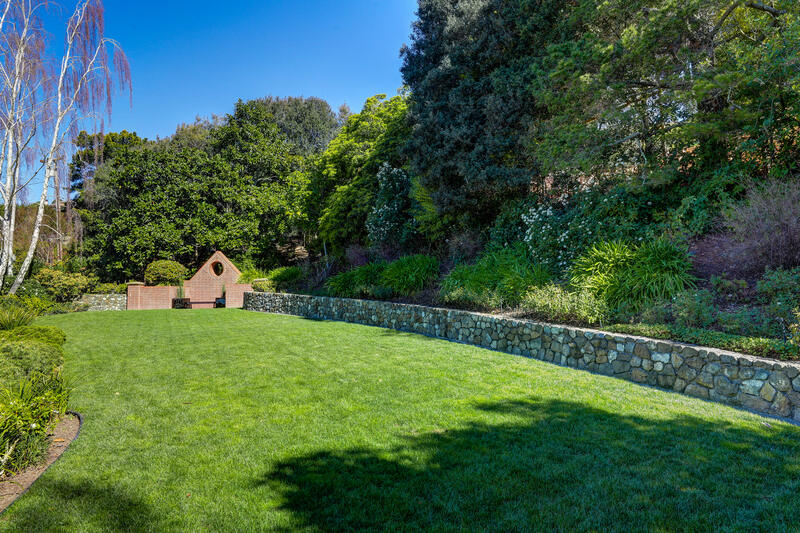 This is a stunning, private space that looks out over the sweeping grounds. 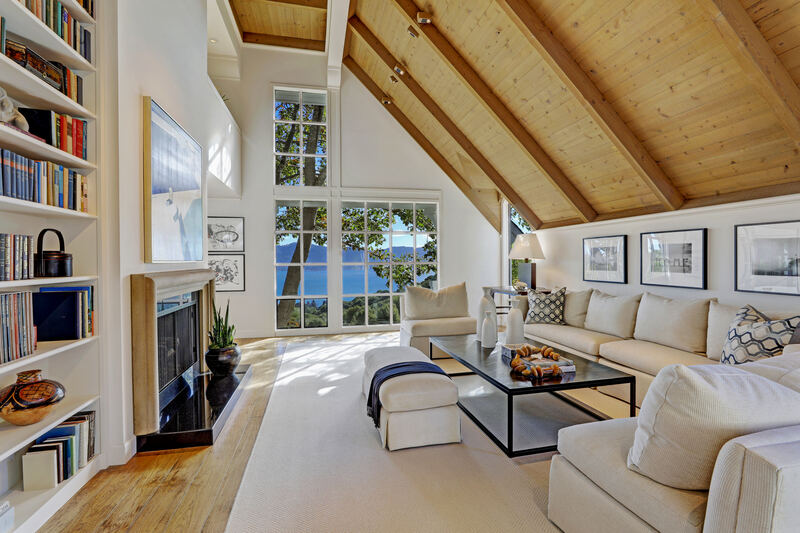 The private master suite is located on the top floor and has a gracious, serene feel with floor to ceiling Bay view windows and a relaxing sitting area to take it all in. 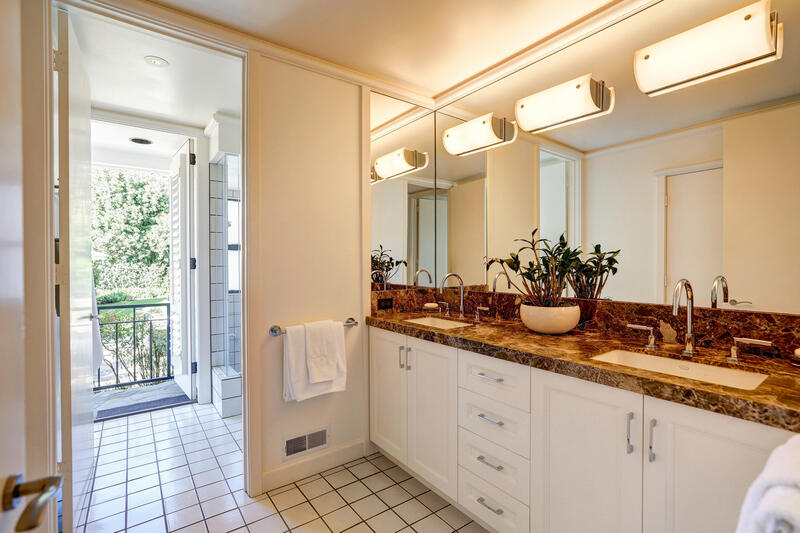 Pass two generous walk-in closets in the entry foyer to the beautifully finished bathroom with double vanities and roomy walk-in shower. 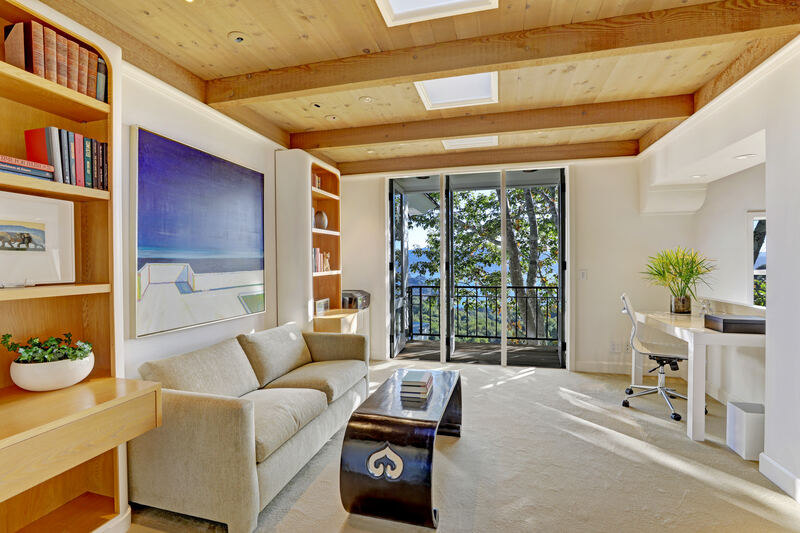 Just a few steps away is an office/den that could also serve as a perfect nursery. 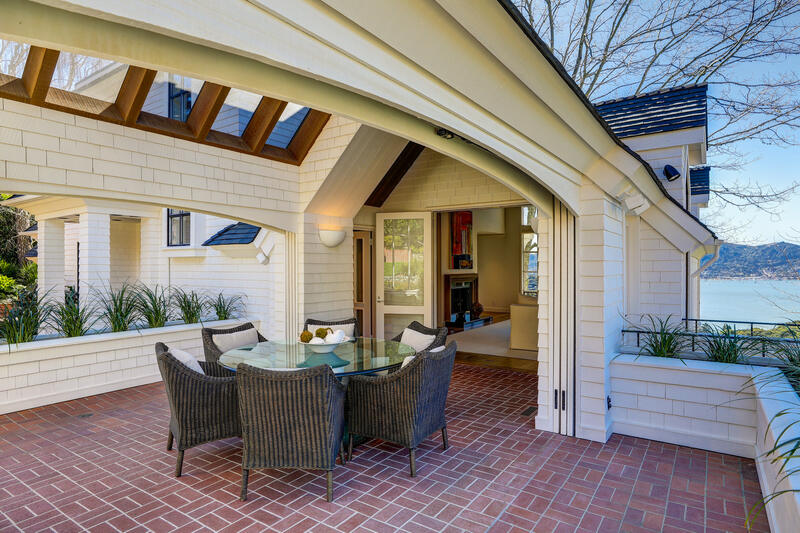 The lower level offers three generous bedrooms; one en-suite and two that share a large bathroom that connects to the pool yard. 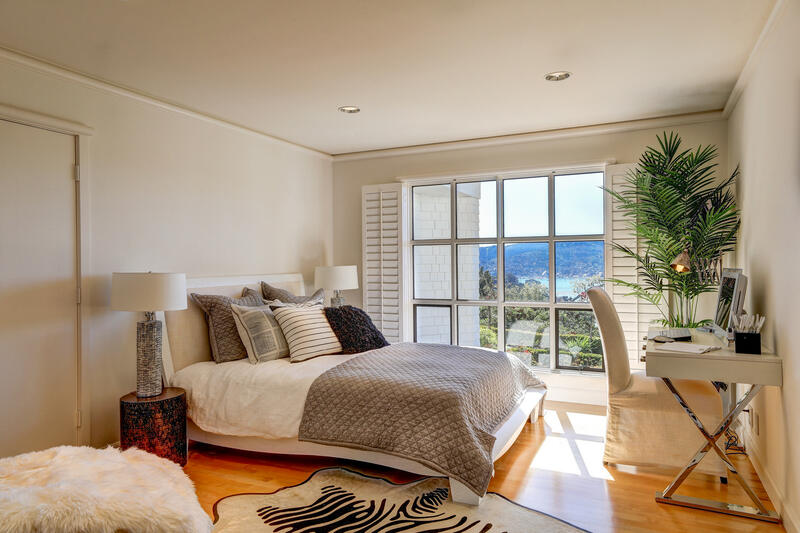 All of the bedrooms have great natural light and views of the Bay. 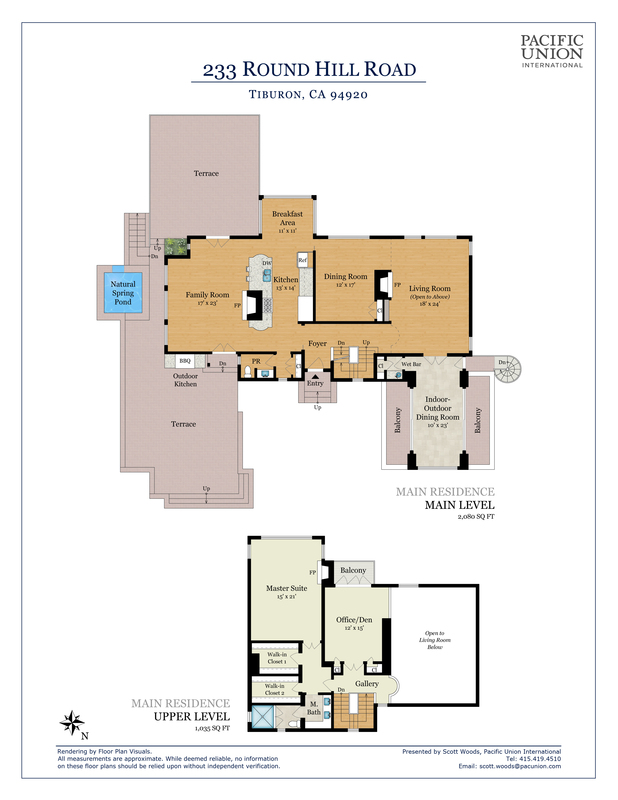 The two car garage is accessed on this level as well the laundry room, utility rooms and wine cellar. 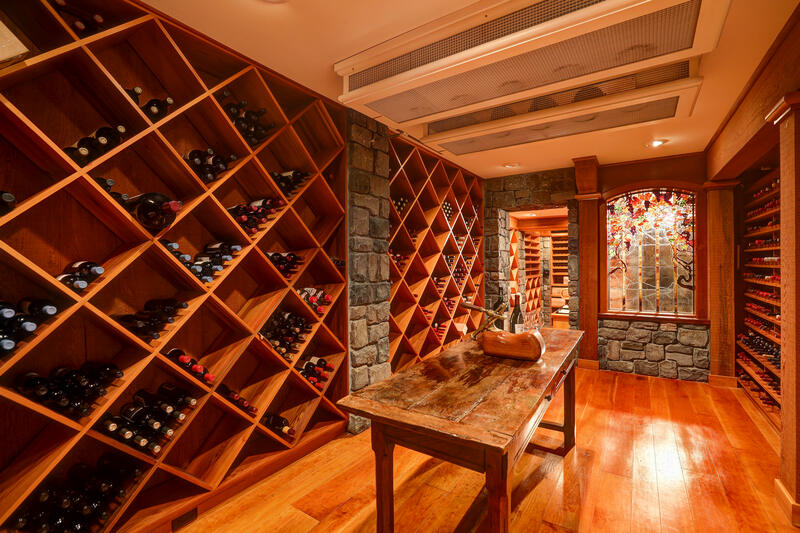 Perfect for the wine collector and connoisseur, you will be hard pressed to find a more expansive and well designed wine cellar. 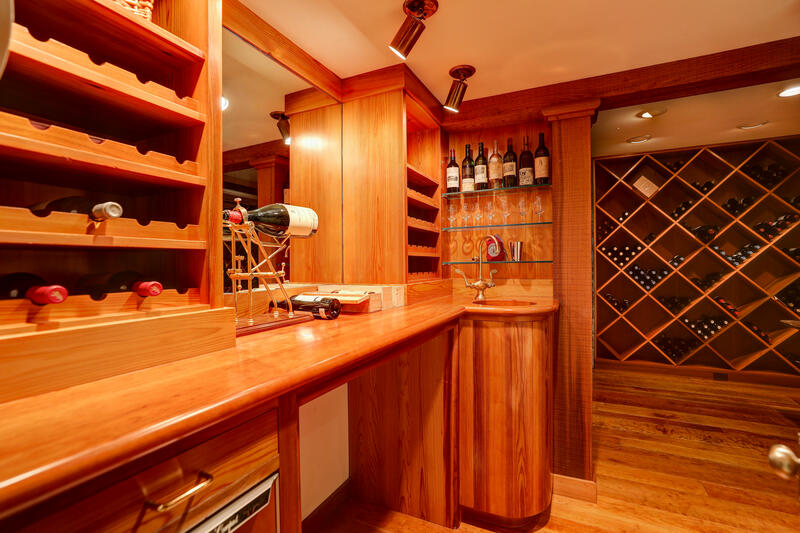 Complete with wet bar serving area, this amazing space offers up to 5000 bottle storage. 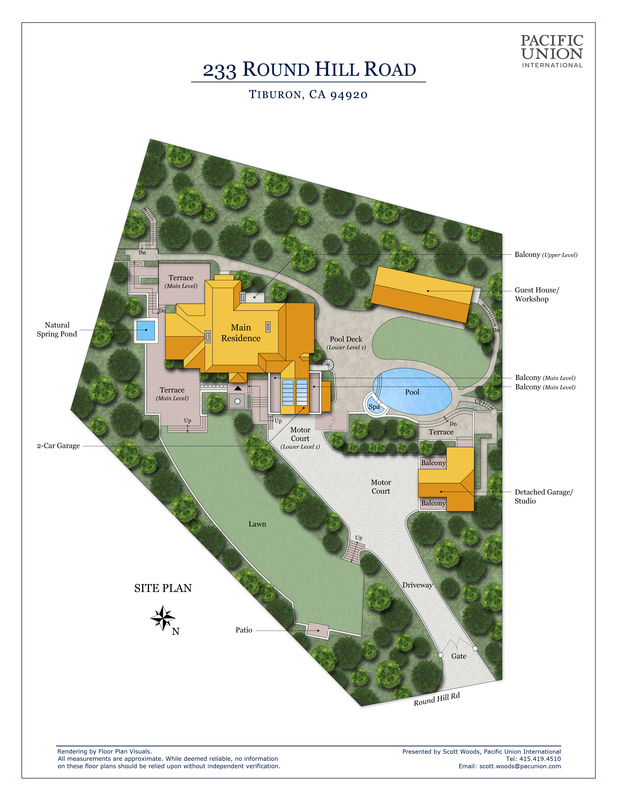 The guesthouse is a spacious and luxurious spa retreat that completely opens up to the pool and back yard, defining indoor-outdoor flow. 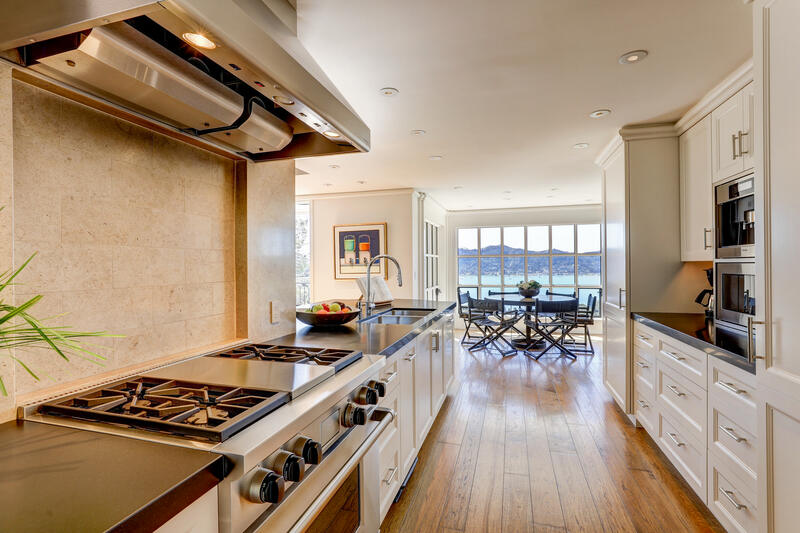 Guests can go for a swim, relax in the spa, enjoy a sauna and then retreat to their private quarters to prepare a meal in the full kitchen. 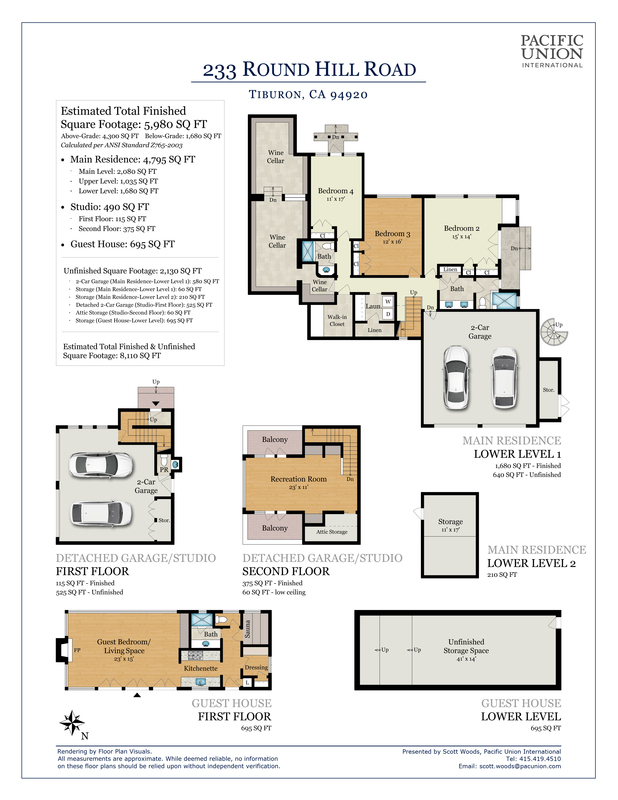 A spacious and sunny studio space sits atop a detached auxiliary two-car garage with extra storage and a half bathroom. 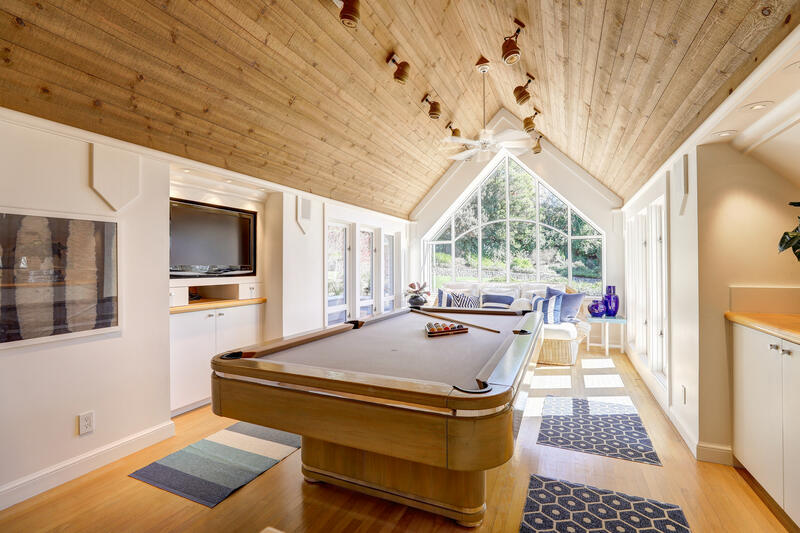 Create the ultimate private home office, use as recreation room for the family, or potentially develop into a second detached guest quarters. 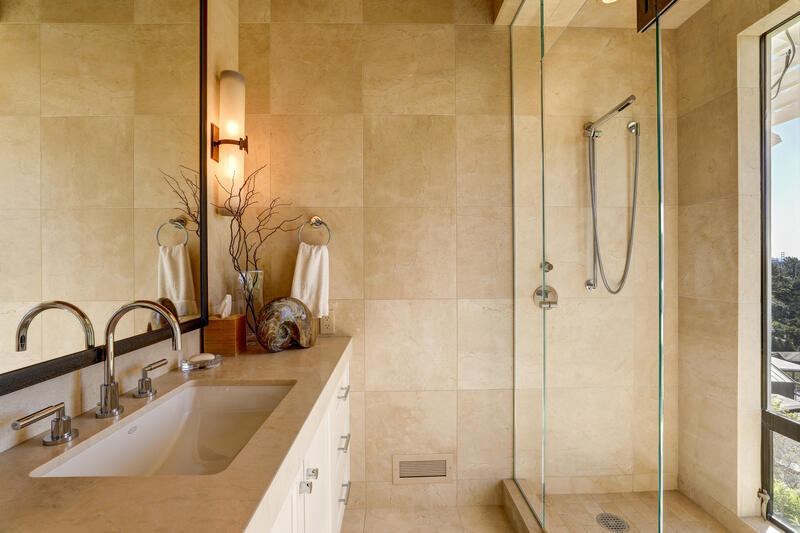 Either way, this space offers many great options. 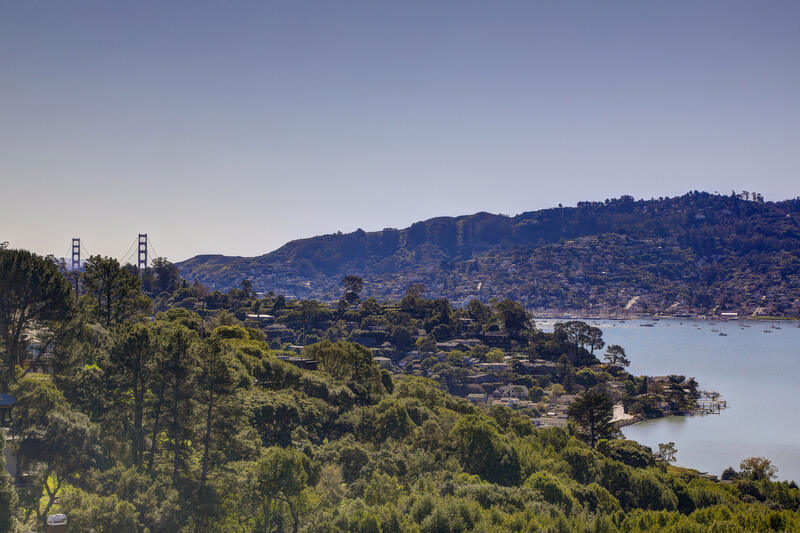 Views of Richardson Bay, Belvedere Island, Sausalito and the Golden Gate Bridge.